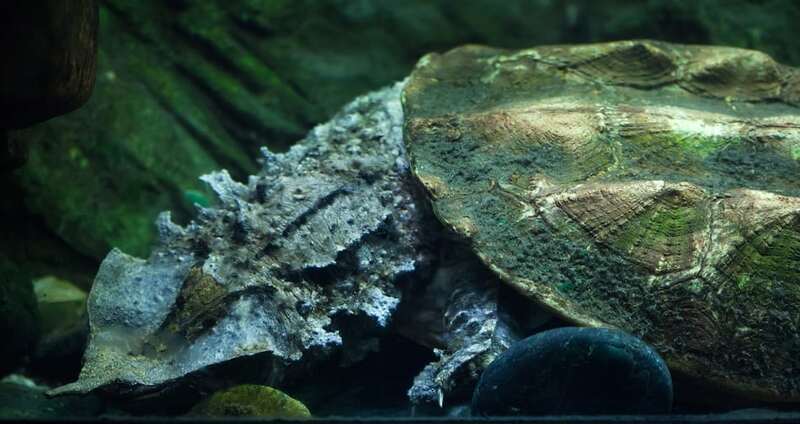 The matamata is large and sedentary with a large, triangular, flattened head containing many tubercles and flaps of skin, and a “horn” on its long and tubular snout. The matamata turtle’s shell is usually black or brown and can measure up to 18 inches. An adult turtle can weigh up to 33 pounds.